The marker at a table quiz is responsible for grading the question-sheets and assigning the scores. 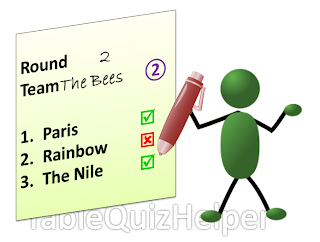 If you are a marker, then your role is to check the answers which quiz participants submit against the official answers, and decide if the answer provided is correct. Depending on how your quiz is organized, you may also need to add up the score, enter this information into a score-board or tally sheet, and possibly keep track and give reports about the overall scores and current ranking of the teams. Trustworthy: able to keep the answers secure until after each round of questions is over. 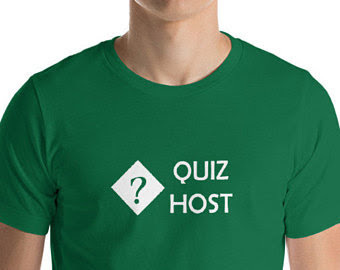 At the beginning of the quiz, get the official set of answers from the quiz-host or the person who prepared the questions. For each question, decide if the answer given is close-enough to the answer in the official answers. If it is, tick it. If not, then mark it with a cross. After you have checked all the questions, add up the number that are correct. Write it at the top of the form, and either pass it to the marking co-ordinator or enter it onto the scoreboard. If necessary, update the overall total score for each team. If you notice that one particular "incorrect" answer is being used often, or if there is an answer you are not sure about, then check it with the quiz-master or with the judge. If they decide that the answer should be allowed, then revise all the answer-forms marked so far and correct the marking. File the marked answer sheets in a logical way: it's usually a good idea to keep al the sheets for each round together, sorted in order of table-number of team-name. When you are asked by the quiz-master, give an update about the current positioning: which teams are first, second etc. (this is a lot easier to do if you use a spreadsheet-based quiz-tracker with heat-maps turned on). After the last questions are marked, double-check the scores, and tell the quiz-master which teams were the winners. When the quiz is over and there is no more chance of disputes, get rid of the answer sheets in an appropriate way. Arrive early, and make sure that you have a place to work which is slightly private, and has enough space for piles of answer sheets. Talk to the other marker(s), marking co-ordinator, runners, and quiz-master or co-ordinator: make sure you know who is doing what, and what to do if you are concerned that an answer may not be correct. If the quiz-master is willing, perhaps read through the questions and answers beforehand, so you can clarify any issues that are not clear. Ask the quiz-master what you should do if answers are ambiguous, incomplete or illegible (ie you cannot read them). Check the scoreboard and tallying system being used; make sure you know how they work, and what you are responsible for doing. During the first round, you will have nothing to do. Wait patiently - you will most probably be quite busy for the rest of the evening. You may not get a refreshments break when the quiz participants do, because you will be marking their most-recent set of answers. So make sure that you get refreshments and toilet breaks during times when you do not have any answer sheets to mark.